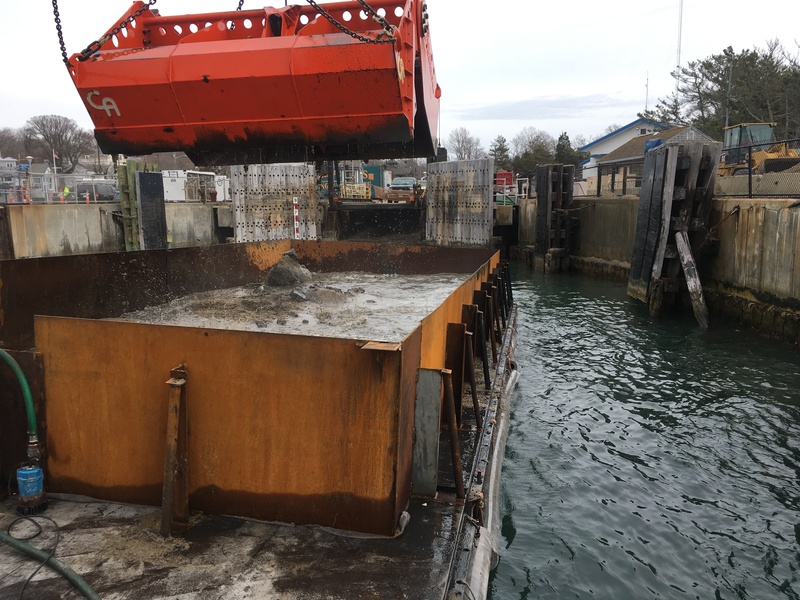 After a successful execution of an emergency dredging project deepening Woods Hole Terminal’s Berth #2, which was completed in 2 weeks as mandated by state environmental limitations, Burnham Associates Inc. has been awarded a subsequent repair project rebuilding a fender pile dolphin in this same berth that was damaged during Winter Storm Riley in March, 2018. Work is expected to begin mid-April, 2018 and expected to be completed before mid-May. Burnham’s wide and varied array of available floating plant, and ability to look at solutions from myriad angles makes us uniquely qualified to perform complex projects in confined spaces with strict schedule restrictions such as these.